15030 ft (4580 m) . 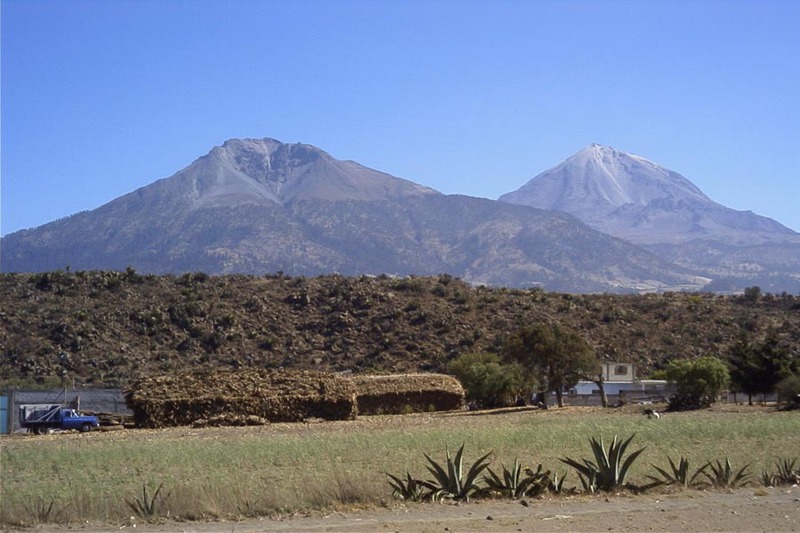 Sierra Negra (Tliltepetl) is a satellite volcanic cone of Pico de Orizaba (Citlaltepetl), rising above the southwest flanks of the massive giant which overshadows it. Nevertheless, Sierra Negra is the 5th highest peak in Mexico and the 9th highest volcano in all of North America. 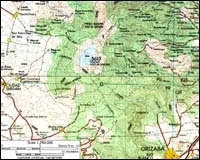 It has a reascent of over 1700 ft (over 500 m) above the saddle connecting it with Citlaltepetl, so it definitely must be considered an independent peak of its own. 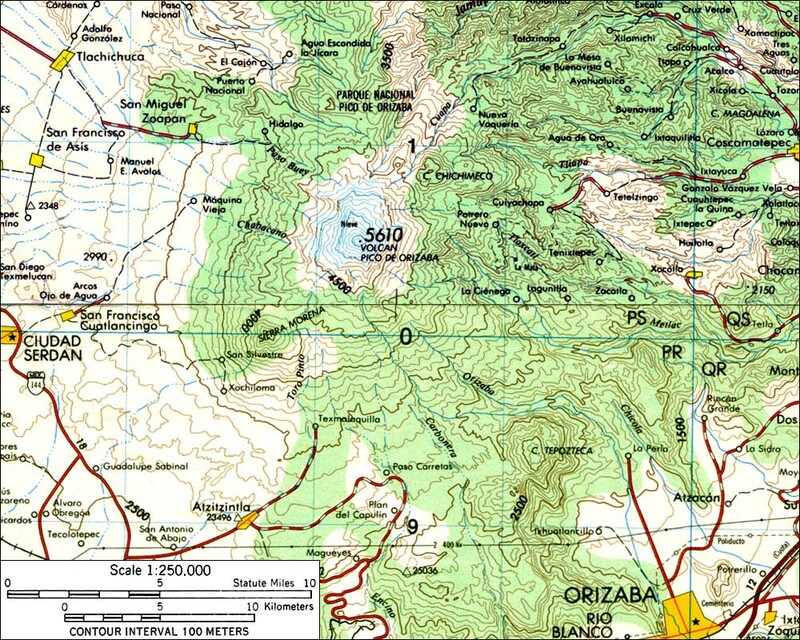 The summit of Sierra Negra is now home to the Large Millimeter Telescope (LMT), a major astronomical observatory scheduled to be completed in 2004. A gravel road (the highest road in North America) extends all the way to the summit, which has been flattened to form a huge platform on which to build the telescope. The highest point of the summit area appears to have been kept intact though, a small concession to the mountaineering community.